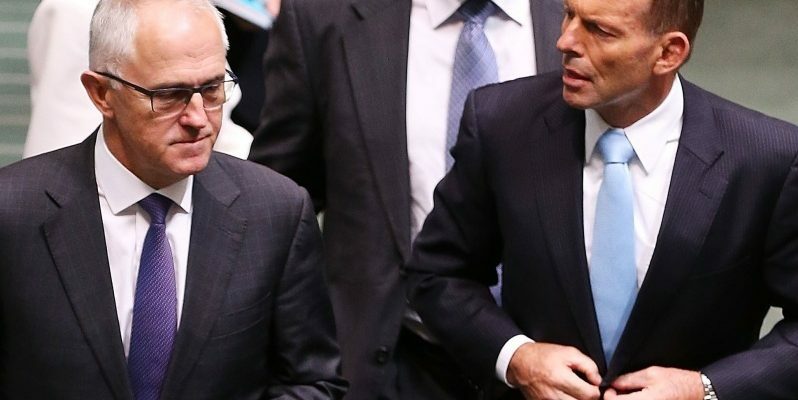 Turnbull – a loser in waiting or winner in the making? I’ve been thinking about whether Malcolm Turnbull as Australia’s latest Prime Minister would actually do a better job than his predecessor Tony Abbott. I mean, with the former Prime Minister setting such a low standard, it wouldn’t actually be that hard right? Now, before you start yelling at me and saying that Tony Abbott deserves nothing more than to be shot over his short tenure in office, here’s some food for thought. Each election night, we often (but not always as in the case of 2010) hear a Prime Minister claiming victory at the polls. For Australians we have become too quick to assume that a particular party has won the election. Arguably over the past decade elections have been lost and not won. Think about it, John Howard overstepped the mark with his historic lower and upper house majority with WorkChoices in the lead up to the 2007 polls. The momentum had clearly swung away from Howard to the extent that Maxine Mckew took his seat of Bennelong too. Julia Gillard ended up with a minority government in 2010 that surprisingly survived its full term but not before the revolving door of Australian politics had reinstalled Kevin Rudd. No surprises that the public were tired of the faceless men controlling the strings hence Tony Abbott whom many had written off as unelectable was “parachuted” (thrown in with ‘minimal’ effort because Labor had become so despised) from opposition leader to an even worse Prime Minister than the supposed low standards of Julia Gillard. Tony Abbott was a good opposition leader and pretty much nothing more than that. Malcolm Turnbull may have won the Liberal party ballot but it was ultimately up to Tony Abbott to lose and move out of the top job. With the exception of the Howard era (and I am using the term ‘era’ because the time between 1996 and 2007 is surprisingly unique), pretty much since Whitlam every Prime Minister has been either sacked, challenged or started as a replacement for a deposed leader. Turnbull might do a better job than his predecessor but he remains largely in my opinion untested. His short stint as opposition leader before Abbott in which he got trolled by Godwin Gretch over utegate maybe a bad omen? Who knows? An outright Coalition win at the next election will be a start if Malcolm Turnbull wants to show that he is capable of being a good Prime Minister. Perhaps with the more leftist (of the conservative) ideals, Malcolm Turnbull could follow in the footsteps of the other Malcolm [Fraser] that once held the top job. Malcolm Turnbull should take pride in what his privileged position entails. It can be difficult an increasing amount of time, between the cabinet meetings, question times and the issues that Australia is dealing with, but he challenged so he better be up to the game. So the next time you vote at the election and hear the results, take a second to think about whether the new Prime Minister is actually a winner or whether he or she is another mere replacement in the ever downward revolving motion of Australian politics.